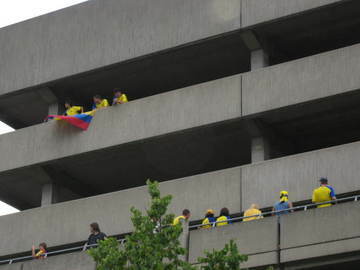 Following the game, the Ecuador fans had a party in the car park next to the Stadium. 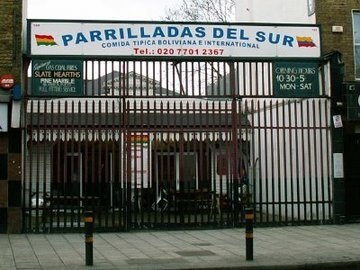 We'd like to think this is a pretty pointless post, but we saw in the Independent that a good venue to watch Ecuador is this bar in the Elephant & Castle. 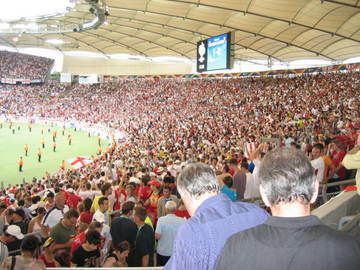 Should they still be in the competition after the game on Sunday ( and given they rested 5 players for the German game, they could well be....) it's a good place to check out. 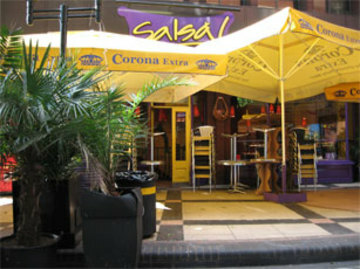 And we also understand the Coronet Cinema is showing the games too. Our friends at Mobizines are running a great promotion with GQ - win a party at Egg for 50 of your friends to watch the England Ecuador game on Sunday. Free food and drink in a private loft with 2 plasma screens! All you need to do to enter is download the GQ Mobizine to your phone - full details here. Whilst the big area for Ecuadorians is around the Elephant & Castle, North London has at least one good venue in the Rincon on Holloway Road. 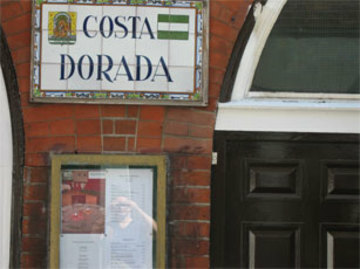 The Costa Dorada on Hanway Street is a well known Spanish bar - but it turns out (via Robert Elms and the BBC) that the manager is from Ecuador and is making a big fuss each time they play. Well worth a visit - but get there early; it's rather small.